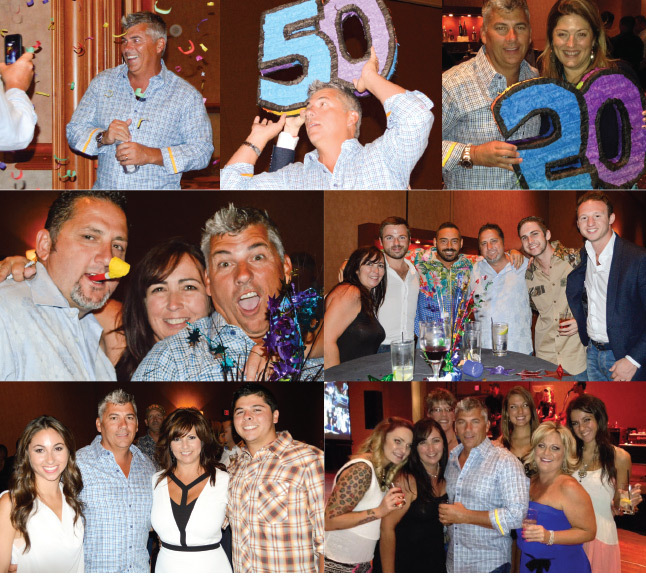 Hand and Nail Harmony CEO and Founder, Danny Haile, celebrated his fiftieth birthday this past August at a special party in Las Vegas amongst friends and family. The surprise party was carefully planned by his long term business partners and friends - David Daniel and Gari-Dawn Tingler, which was filled with laughter, fun and memories. As the evening wound to end, Haile made a heart-warming speech thanking all of his industry friends for joining in his celebration, and dedicating all of his success to his best friend and wife of over 20 years, Sheila Haile. Hand and Nail Harmony hosted its 5th Annual International Distributor Conference in London, England during September 2014. The conference welcomed distributors from over twenty-seven countries throughout Europe, Russia, Middle East, and South Africa. During the all-day event, distributors of Gelish, Morgan Taylor and ProHesion were given a sneak peek of exciting things to come for the brands in 2015. This September marked the 10th annual Nailympia Competition in London, England. During this international event, the world's best came together to compete. We are very proud of our Nail Harmony team from around the world who participated in this event and took home medals in their categories. Great job, Team! You rock! Dedicated work and preparation paid off once again at Cosmoprof North America 2014. Distributors from all over the States and Internationally, reunited again for the annual trade show in Las Vegas this past July. The three-day event filled with non-stop meetings, allowed Hand and Nail Harmony's sales and marketing teams to cultivate and grow relationships face-to-face, an unwavering notion that the company aspires to have with all of its customers. In late July, nail technicians and distributors gathered from all over Eastern Europe to participate in the highly anticipated Gelish Foundation Educator Training. The four day event took place from July 26th through July 29th, and covered the foundational elements of Harmony products - from brand history to application techniques. The participants who traveled from Estonia, Hungary, Serbia, Montenegro and Romania were instructed by two of Harmony's prized educators - Deans of Education Krasimira Petrova Krumova and Antony Buckley.